"The first system I bought when I joined the consumer electronics industry was from Paradigm Electronics Inc. and I have watched the company grow and flourish ever since. The revolutionary MilleniaOne satellite speaker has the ability to be used as a left, right or center, and provides versatility in a compact form factor while maintaining the superb level of quality and performance associated with the award-winning Paradigm Reference line." Paradigm Reference MilleniaOne speakers are sold as 2.0 and 3.0 systems in Black Gloss and White Gloss finishes and are available at Paradigm authorized dealers across North America and Internationally. Click here to find your closest Paradigm authorized dealer. 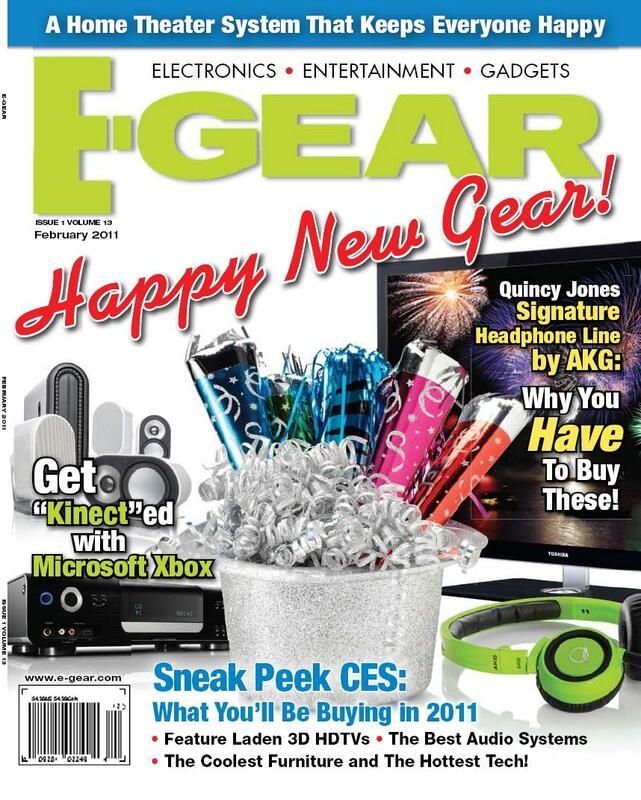 Pick up the February issue of E-Gear on news stands now.